There was a time in my life when beauty meant something special to me. I guess that would have been when I was about six or seven years old, just several weeks or maybe a month before the orphanage turned me into an old man. I would get up every morning at the orphanage, make my bed just like the little soldier that I had become and then I would get into one of the two straight lines and march to breakfast with the other twenty or thirty boys who also lived in my dormitory. 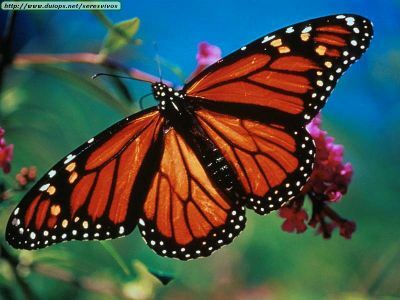 After breakfast one Saturday morning I returned to the dormitory and saw the house parent chasing the beautiful monarch butterflies who lived by the hundreds in the azalea bushes strewn around the orphanage. I carefully watched as he caught these beautiful creatures, one after the other, and then took them from the net and then stuck straight pins through their head and wings, pinning them onto a heavy cardboard sheet. How cruel it was to kill something of such beauty. I had walked many times out into the bushes, all by myself, just so the butterflies could land on my head, face and hands so I could look at them up close. When the telephone rang the house parent laid the large cardboard paper down on the back cement step and went inside to answer the phone. I walked up to the cardboard and looked at the one butterfly who he had just pinned to the large paper. It was still moving about so I reached down and touched it on the wing causing one of the pins to fall out. It started flying around and around trying to get away but it was still pinned by the one wing with the other straight pin. Finally it's wing broke off and the butterfly fell to the ground and just quivered. I picked up the torn wing and the butterfly and I spat on it's wing and tried to get it to stick back on so it could fly away and be free before the house parent came back. But it would not stay on him. The next thing I knew the house parent came walking back out of the back door by the garbage room and started yelling at me. I told him that I did not do anything but he did not believe me. He picked up the cardboard paper and started hitting me on the top of the head. There were all kinds of butterfly pieces going everywhere. He threw the cardboard down on the ground and told me to pick it up and put it in the garbage can inside the back room of the dormitory and then he left. I sat there in the dirt, by that big old tree, for the longest time trying to fit all the butterfly pieces back together so I could bury them whole, but it was too hard to do. So I prayed for them and then I put them in an old torn up shoe box and I buried them in the bottom of the fort that I had built in the ground, out by the large bamboos, near the blackberry bushes. Every year when the butterflies would return to the orphanage and try to land on me I would try and shoo them away because they did not know that the orphanage was a bad place to live and a very bad place to die. Today, there have been 18 visitors (32 hits) on this page!